***100% FREE APP NO LOCKED ITEMS OR IN-APP PURCHASES! Hello fans! Thirsty for some more fun! Then let’s make some smooth & healthy fruit juice drink. Replenish your energy with fruit pop juice drink – in 6 different flavors: apple, banana, cherry, strawberry, orange & pomegranate. It’s a mini-game for kids of all ages. Fruit pop soda juices are renowned for being healthier than high-calorie Smoothies, Colas, & artificially flavored milkshakes. A creamy rich & healthy juice maker app with many options to choose from & all FREE & unlocked; so no in-app payments required! 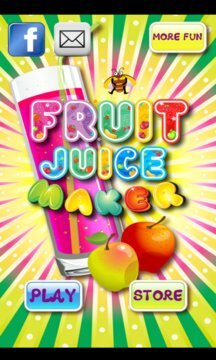 Make your ultimate fruit pop juice shake from Happy Bonbon Studios- the makers of the best kids games- proud developers of hit games: Candy Maker, Ice Candy Maker, Cupcake Maker, Fruit Pop Soda Maker! Spread the smiles today – Blend a fruity juicy shake & share with them for their Happy Birthday or other occasion. Multiply the fun with toppings, crumbs & sprinkles. & coming soon: you will be able to add colorful candies, waffles rolls, candy canes & more upcoming decorations like paper umbrellas, toy duck, teddy bear, dolphin, beach ball, helicopter, speed boat, trucks, motorbike, car, windmill, toy horse. This free cooking game is appropriate for EVERYONE: growing babies, toddlers, children & even adults who like cooking, making & serving fruit pop juices. 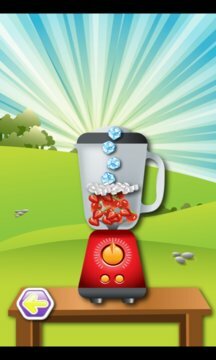 Fruit pop juice Maker is the best app for making juices- better than any other making game & cooking game available for your smartphone. - Mix it, shake it, blend it! -Pick a glass & pour it in. -Customize it with so many options! -Decorate from toppings like sprinkles, chocolates, candy, lollipops, cookies, toppers & little toys for your young ones to play with.